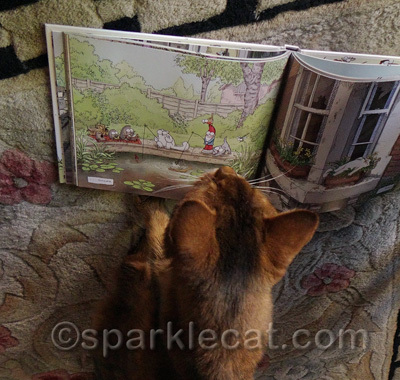 You are here: Home / Book Reviews / Simon’s Cat Vs. the World – Review and Giveaway! 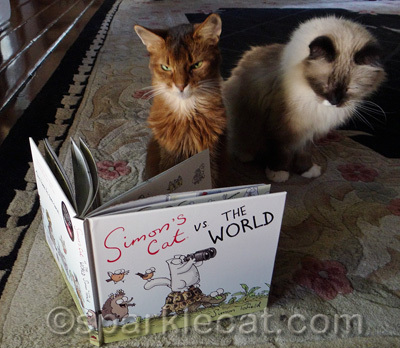 Simon’s Cat Vs. the World – Review and Giveaway! Hey Boodie, look what Simon’s cat is up to here! Oh hi! 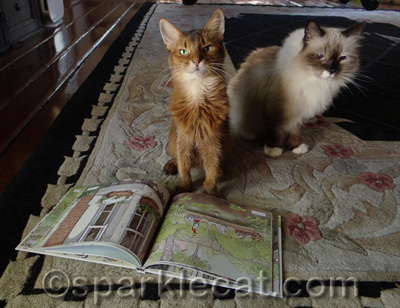 We are engrossed in the latest book by Simon Tofield, Simon’s Cat Vs. the World! You’ve seen the YouTube videos, and you might have some of the other Simon’s Cat books too. Simon’s Cat Vs. the World is especially cool because it is color all the way through. 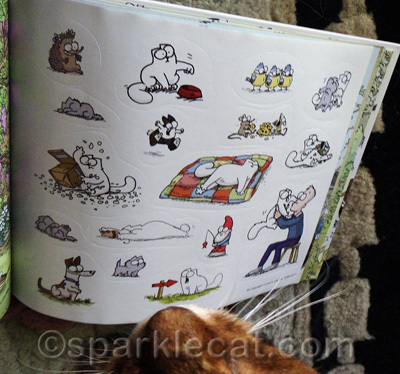 And along with seeing all the new ways that Simon’s cat and his kitten sidekick have found to have fun and get in trouble, you get a page of stickers too! Moderated by my pal, Stephanie Harwin, creator of Catsparella.com! 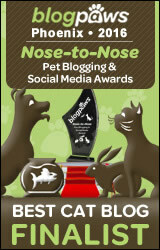 Cosponsored by my favorite rescue, Tabby’s Place! And yes, I am having a giveaway! 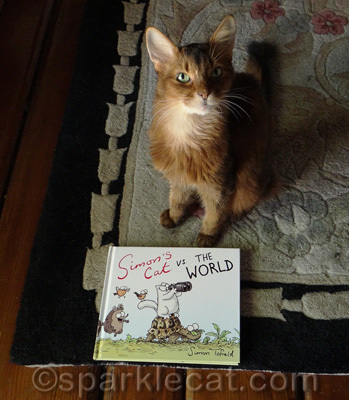 In fact the publisher is letting me give away five copies of Simon’s Cat Vs. the World! The only catch is you have to live in the U.S. (Don’t worry, if you live outside of the U.S., you can still enter my Kitty Kick Stix giveaway!) Just leave a comment on my blog and tell me which state you live in. All the other ways to enter are optional but will get you more entries! And if you hate the Rafflecopter widget, just tell me in your comment and I will enter you manually. The giveaway closes on Monday night, October 14 at 11:59 PM! Good luck! 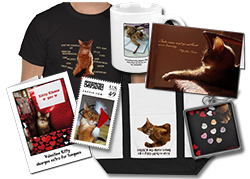 Note: Links to Amazon are Associate links — a kitty’s gotta eat! simon is awesome! this would be a wonderful book to win. i could share it with my grandkids when they come to visit. I love Simon’s cat more than just about anything!!! It would totally make my day to win a copy of the book. We are in Montana. Would really loved to win that book ! Have the chance to win the Kitty stickÂ´s are not to bad that either !! I don’t qualify as we’re up in Canada, but I just have to say that Sparkle’s face kills me… she’ sso pretty and so expressive. I love looking at her pics!